Gackpoid Power is the virtual vocal voicebank based on "powerful" voice of "GACKT", a major artist in Japan. 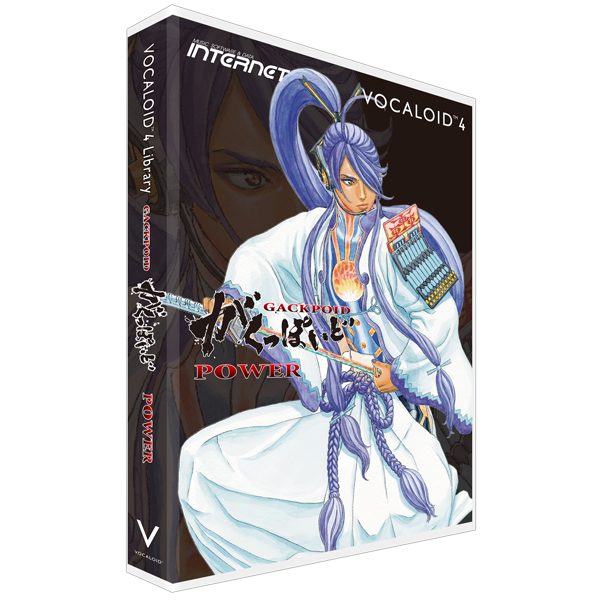 VOCALOID4 Gackpoid is the first voicebank of Japanese male voice in all VOCALOID4. Working on readjusting the database bring about a dramatic improvement in clear and smoothly connected words. You can enjoy the higher quality voice synthesis than before. To use it, you must first agree to the following characters guidelines. An email with the following information will be sent to you as soon as the purchase process is completed. ●INTERNET PRODUCT NUMBER: Needed to get support for your INTERNET product. * Please submit any inquiries about this product using this official site. (*) This only includes the Library product.